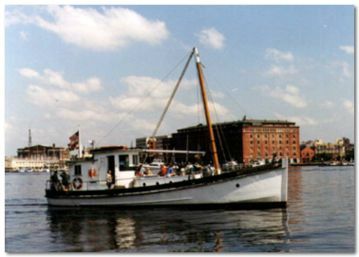 Mildred bell home port is in Baltimore, Maryland. She was built in 1948 in Odd, Virginia. The Mildred Bell is used as a research vessel, where students can use state-of-the-art scientific equipment as part of their interactive learning experience. Check out the web site for schedules, photos and her history at Living Classrooms Foundation.